Day 151—31 March 2012 In a frenzy I know this is sort of goofy; but, it’s for a good cause—really! As I’ve mentioned before, we’re big fans of DSW, which makes it possible for me to have a much bigger shoe collection than I need. Every once in a while, they start a Frenzy—they post a challenge on Facebook. If you complete the challenge, you get a treat. 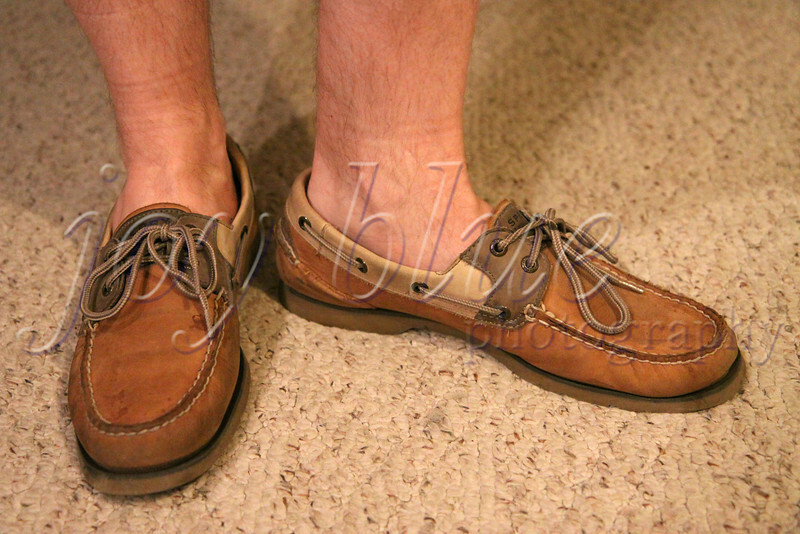 The latest challenge: post a photo of you wearing your Sperry Top-Siders. Tom’s is done. I’ll do mine in the morning. Bring on the bling, DSW!